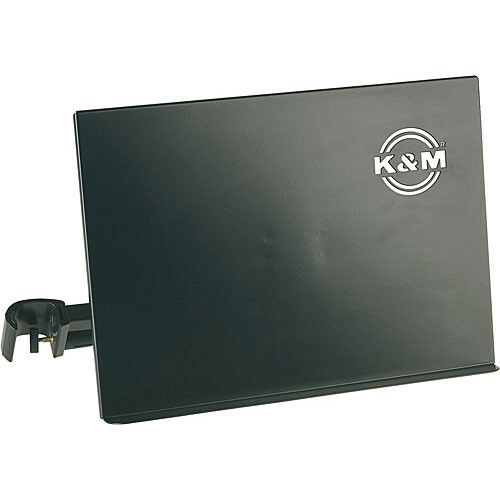 The 11540 Sheet Music and Document Holder from K & M easily attaches to your microphone stand or other device with tubes up to or less than 30mm in diameter. The aluminum clamping element uses plastic tubing for protecting your mic stand and tilts for a comfortable viewing position at any height or angle. Box Dimensions (LxWxH) 17.3 x 12.6 x 2.8"